Don’t suffer the inconvenience of a loose lower denture. With Denture Connect Plus, we can often connect your current denture to dental implants at a fraction of the price of similar full arch rehabilitations. 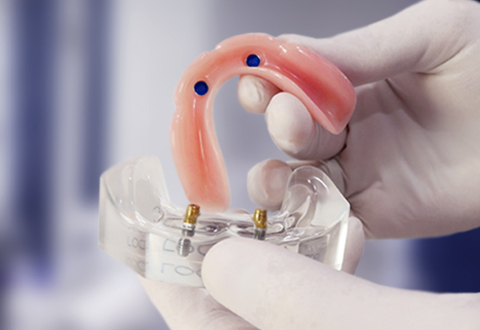 Above: implant-supported dentures are secured to as little as two dental implants using the Denture Connect Plus system. Prices start from $6613. Plus, we’ll beat any WA implant quote! Available at Dentures Plus Leederville, Joondalup, Leeming & Maddington. N.B. : Prices for the lower jaw can be between $6.5K – $10K, depending on the level of difficulty and whether your existing denture can be remodelled – or a new denture needs to be created. Due to the density of the mandibular (lower) jaw bone, our Denture Connect Plus system can connect your existing denture on only two or four implants. And, unlike similar full arch rehabilitations, there is no cost of a fixed bridge ($10K – $12K). At Dentistry Plus, we offer competitive prices for our dental implants in our Perth dental clinics (In fact, we’ll beat any WA implant quote). But it’s still hard to pay the fee in one lump sum. That’s why we’ve introduced payment plans to make your important dental implant procedure more budget-friendly. Health insurance rebates may apply! Reliable, comfortable implant-supported dentures allow you to eat, talk and laugh freely. And, you may avoid suffering the detrimental loss of vital bone tissue. Without your natural teeth, the bone in your jaw may gradually dissolve and facial features slowly fall in. Call: 1300 437 587 or fill in the form below. We’re prepared to beat any WA implant quote! Did you know you can apply to have your super released early to help cover the costs of your dental procedure? Package does not include extractions, synthetic bone, or any other device or procedure. It does not include a new lower denture. We may be able to use your existing denture for this procedure if in good condition. However, if your denture is not strong enough or suitable in any way, you may require a new denture to be made & connected. Health Insurance rebates may apply. Please check with your fund and quote the item numbers on this page. Quotes only provided to patients whereby the dentist deems the procedure suitable. The longer you wear a conventional lower denture, the more your bone will shrink, making it more uncomfortable to wear dentures – as well as causing facial collapse. Increase your nutritional intake and eat harder textured foods without pain or self-consciousness. Connect & disconnect your dentures whenever you please – and enjoy a greater amount of retention. Unlike Four Under One, repairs are quick and inexpensive. With the denture connect system, you can easily disconnect your denture to clean, and not have food build up underneath the denture, avoiding unpleasant odours. Your dentures will no longer shift from left to right when eating, which causes trauma to the bone, slowly wearing it away. 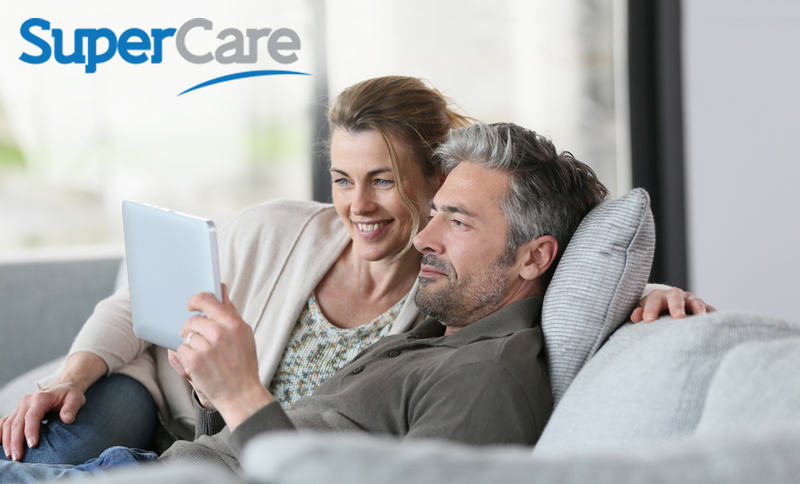 Save thousands by using your existing denture when you switch to the Denture Connect Plus system. Switch to an implant-supported lower denture for better health – and better quality of life!